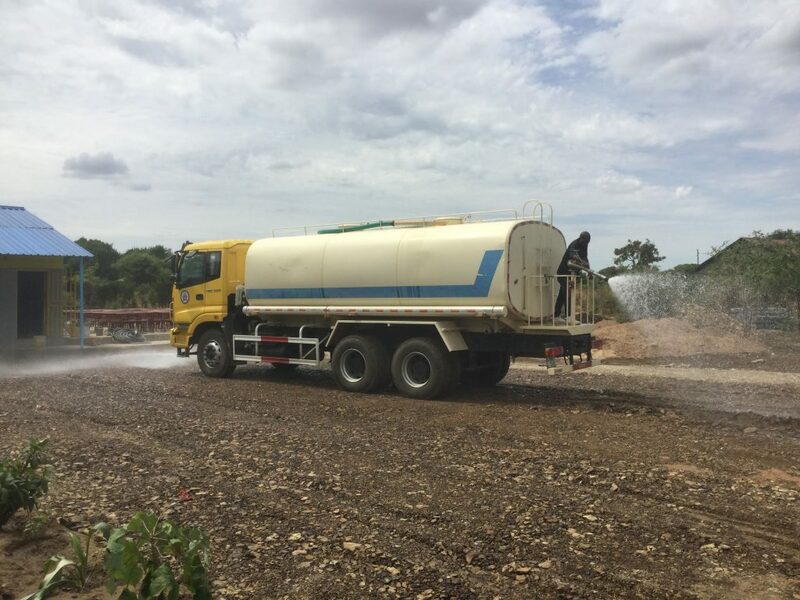 The start of a very big week. 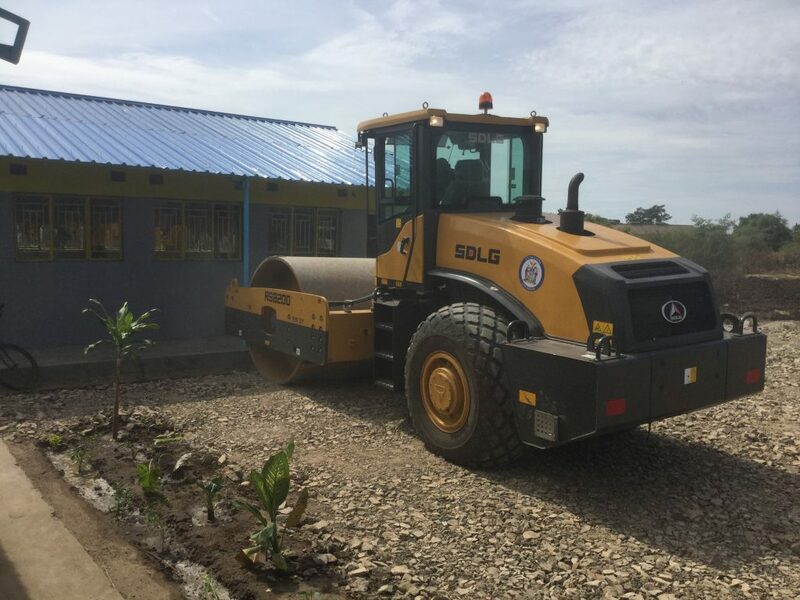 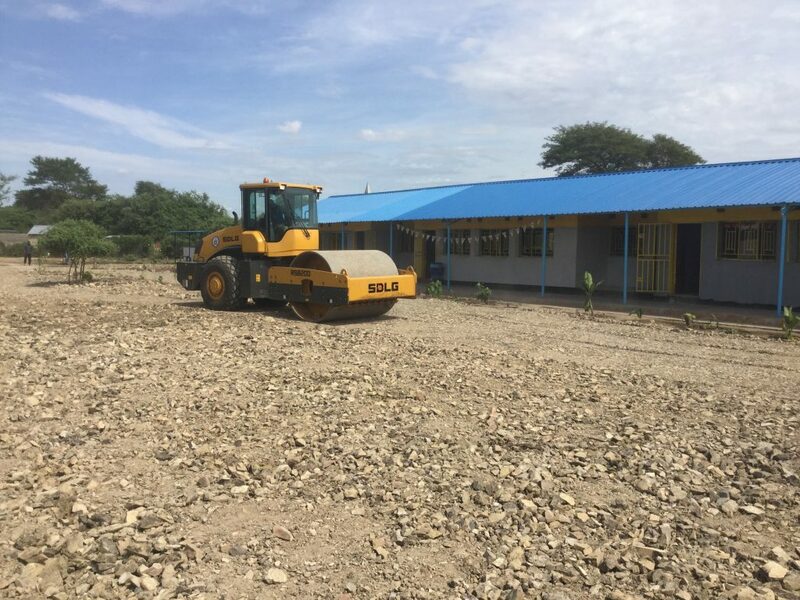 The 2019 Commonwealth Law Conference is this week, and is sponsoring the construction of our latest classroom at Linda Community School. 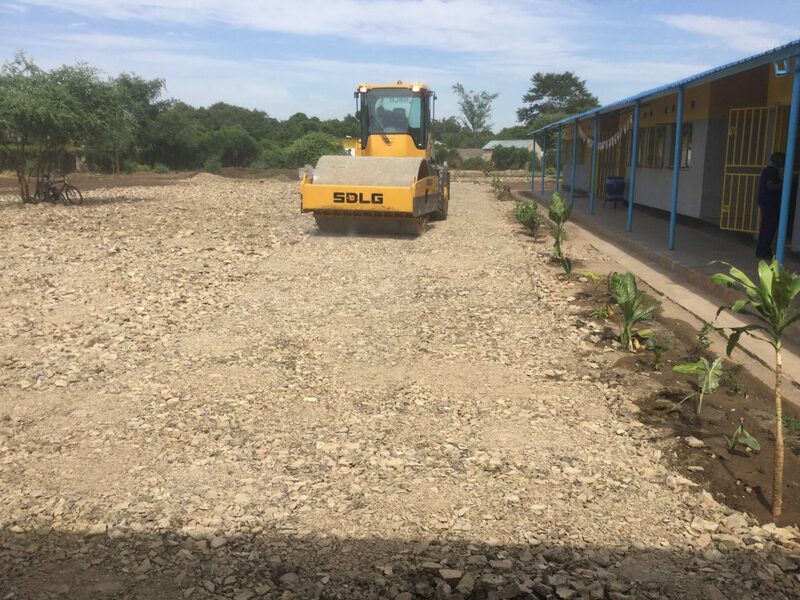 Today we had a compactor and bowser levelling the gravel donated by Livingstone City Council in readiness for the opening event. 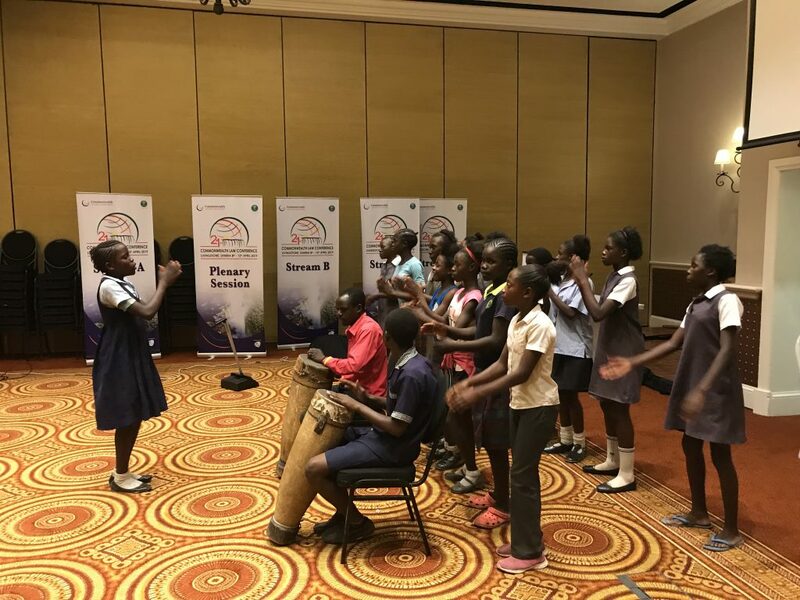 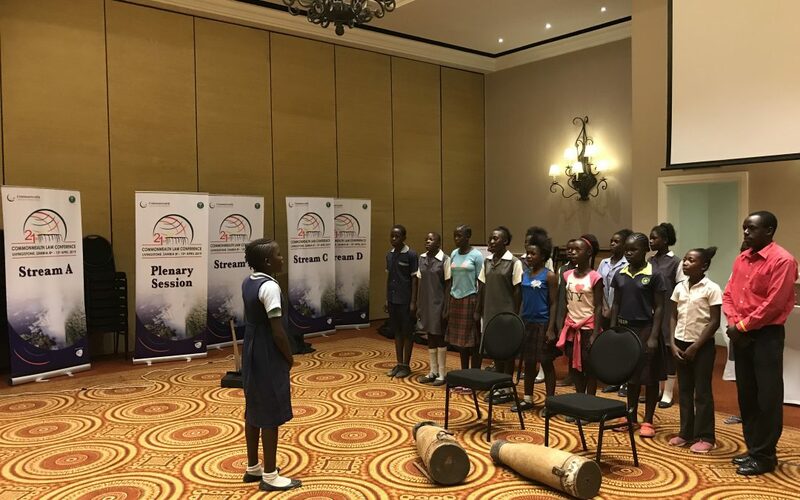 Meanwhile, at the conference venue, the school choir practised for what will be a momentous performance for them. 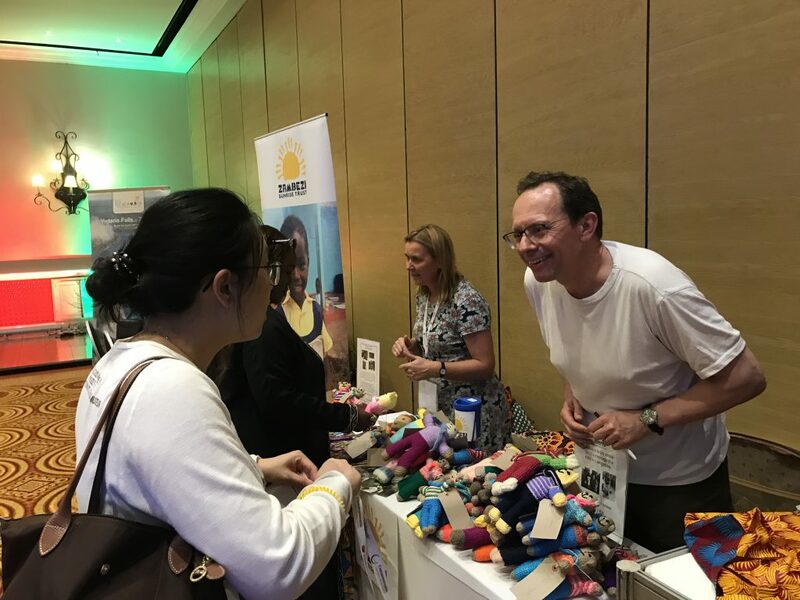 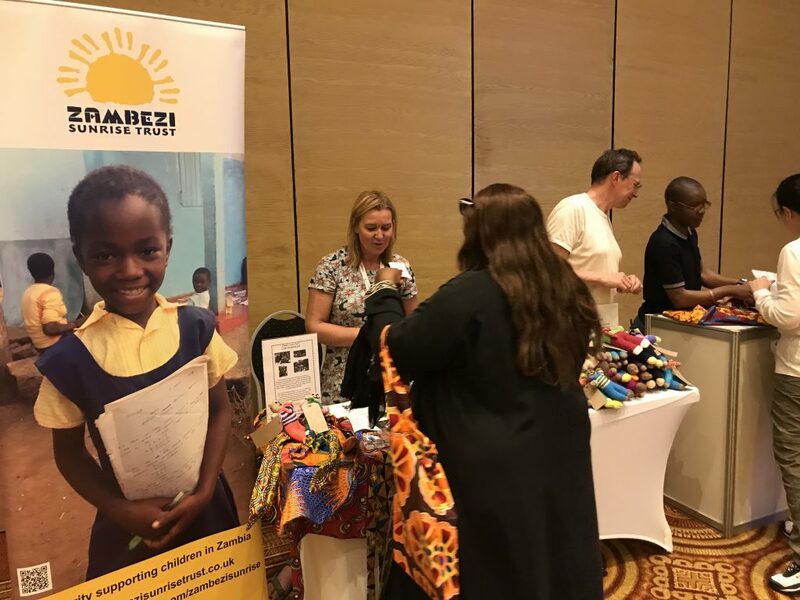 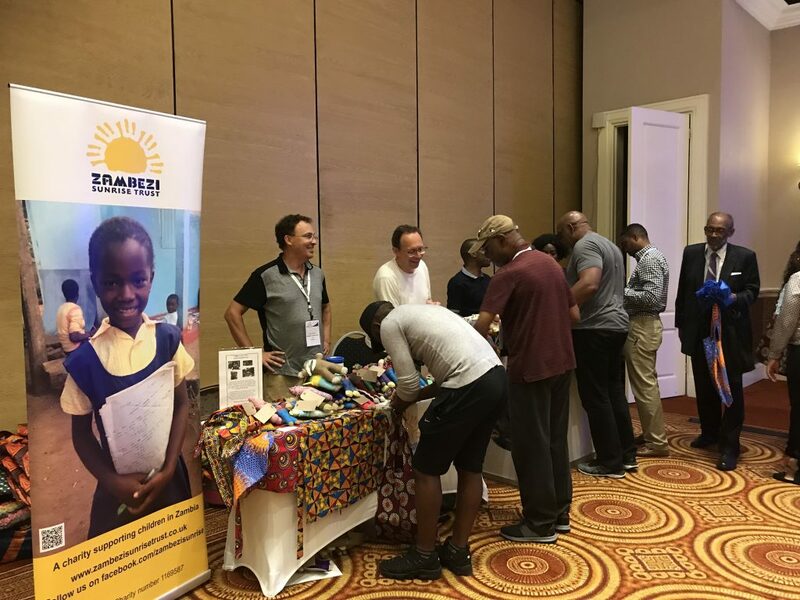 Our trustees Joanne and John, aided by Jonathan Ashley – Norman, were delighted to meet many of the delegates as they registered – and interest them in sponsoring a knitted bear to be given to a local child!